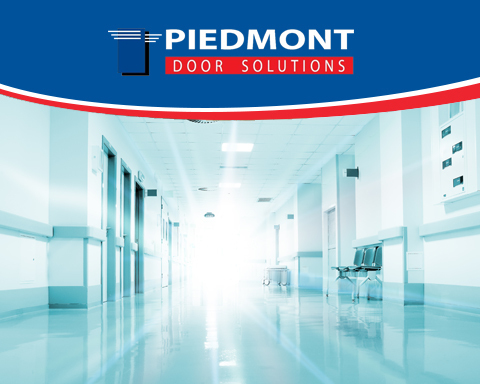 Piedmont Door Solutions specializes in the design and installation of anti-ligature solutions for hospitals and behavioral health treatment facilities throughout the United States. We offer a wide range of solutions from simple curved doors handles and continuous hinges to complex alarm systems capable of monitoring hundreds of doors simultaneously. Our experienced team of technicians and broad network of vendors will design the right solution to meet your facility’s individual needs. Over the last decade behavioral health facilities have seen a marked uptick in the rate of sentinel events. Specifically, the increased frequency of patient self-harm while receiving inpatient care has become a serious concern for all health care professionals and caused the Joint Commission to make preventing such occurrences a priority for all accredited hospitals. 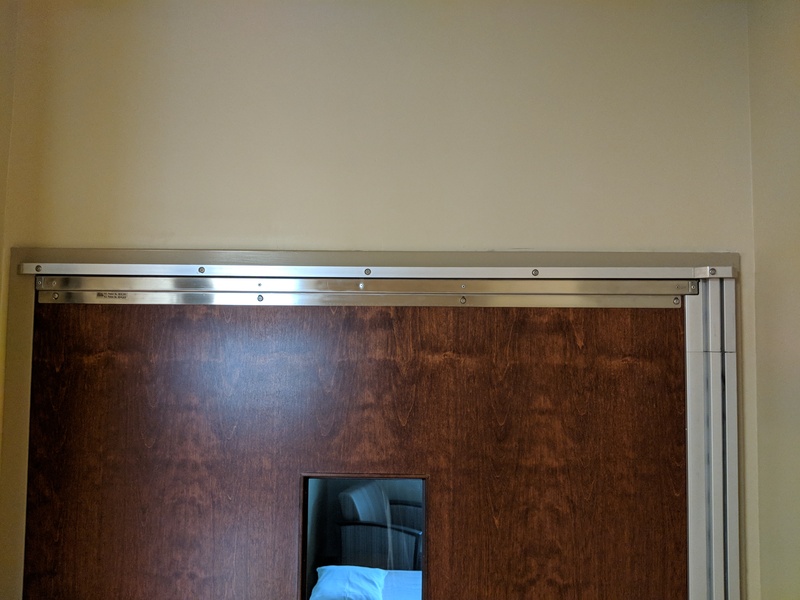 Many of the most common avenues for fatal sentinel events revolve around the patient’s room or bathroom doors. 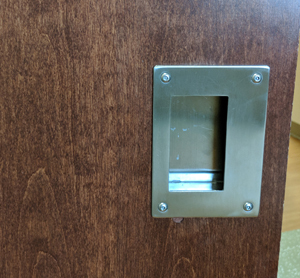 Allowing patients privacy and dignity is an important part of facilitating effective treatment, but there is inherent risk in allowing patients a seclude room or bathroom. 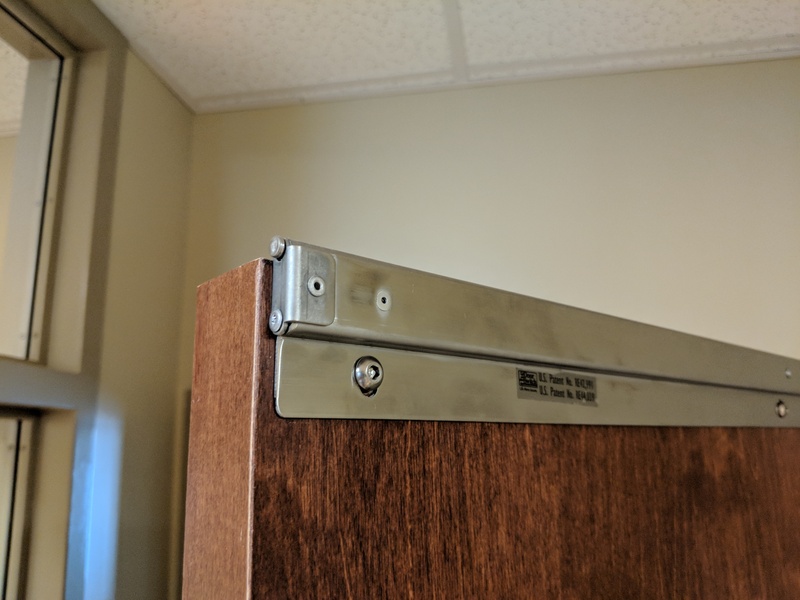 Patients often use “pinch points” or “anchor points” on and around a door to assist in self harm. 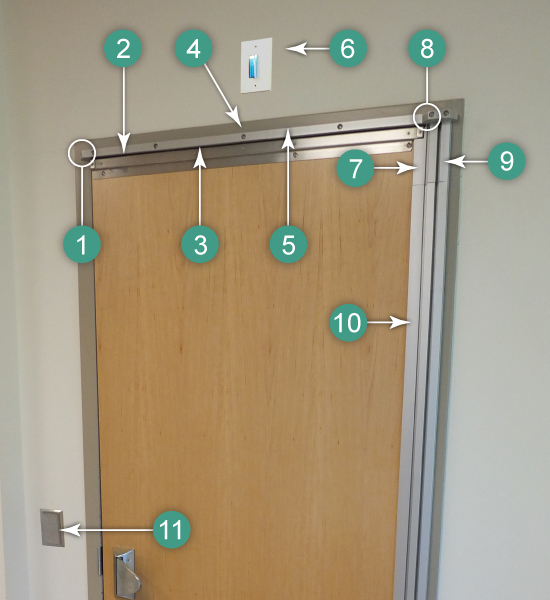 As you can see in the diagram below, the average patient room provides at least five ligature points around the frame and door. 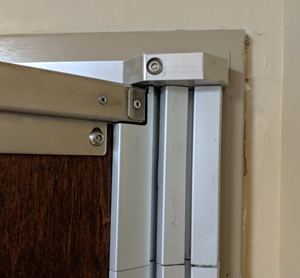 To successfully prevent door related sentinel events a facility must incorporate both anti-ligature hardware and door alarm system. Maximizing patient security requires you first mitigate the opportunities for self-harm and secondly that you have a system in place that will alert staff to a sentinel event in real time. Effective prevention of sentinel events requires leadership teams and engineers to regularly do full assessments of their existing infrastructure. 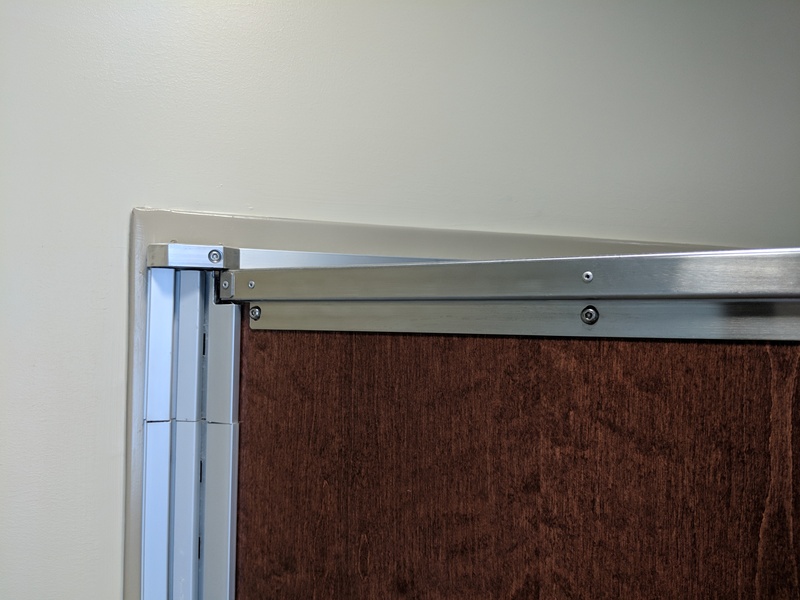 Even if the facility has been outfitted previously with safety devices intended to prevent self-harm, reviews are necessary as better solutions are continually being developed and many old safety devices have been found to pose unintended risk. 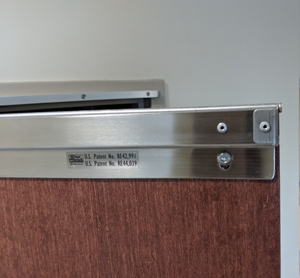 For instance, some older anti-ligature coat hooks do indeed eliminate ligature points but in the process these devices provided a mechanism for puncture wound self-harm. As patients seeking to self-harm become more sophisticate and familiar with safety devices, they develop new ways to subvert the devices intended purposes. Contact us today to speak with one of our anti-ligature specialists about a custom solution for your facility.